Often we get enquiries from people who have bought burglar alarm or CCTV systems, usually online, and want a quote for the installation. We’re unable to help them because we don’t fit third party equipment. There are a few reasons why we won’t do this. The first being that we simply cannot verify the quality or suitability of the equipment. Accountability is important to us and by surveying the property, designing the right system for it, specifying the most appropriate equipment from suppliers that we know and trust and fitting it ourselves we can be accountable for every step of that process. The buck stops with us. Call us control freaks but it means that we can be confident that the system will be fit for purpose. We can’t have that level of confidence with equipment sourced by someone else. We don’t know that it’s suitable for the job and if it was bought by someone who may not have the appropriate expertise to do that then they may not know either. Quality can be a significant issue as the main reason for approaching it this way is to save a little on equipment, often online and often manufactured in places like China. We wouldn’t ever want to be put in the position where we’re fitting sub-standard equipment, even if the customer takes responsibility for the kit. While we’re not saying that all low cost systems are poor quality, we have seen more than our share of systems bought cheaply and only lasting a few years before they start causing problems. There is an old adage ‘buy cheap buy twice’ and we’ve certainly seen that apply in this context. It’s also a less than ideal situation for the customer. If something goes wrong with the system down the line who can say whether fault lies with the equipment or the installation so where’s the comeback? We can try to resolve any issues that arise but if we feel the problem is the equipment then that work will be chargeable. If you try and pass that cost back to the manufacturer or supplier they may be inclined to blame the installer or ask for the equipment to be returned which would incur further cost. We don’t think this ambiguity is fair to any party involved. With a single provider you have absolute right of redress with any problems; even if it’s a manufacturer fault as we are responsible for taking that up with them. The likelihood of problems occurring is also diminished because the quality control at each stage would help to prevent them. The main reason that people choose to do it this way is to save on cost, and that’s perfectly understandable – it’s the same principle as choosing a package holiday or booking each element yourself; the latter could save you money but offer you less protection. Everyone wants to save a few quid but we would advise anyone to look at the real cost and at least compare the two options. We have close relationships with our suppliers and we can secure good trade rates, meaning that the prices we pass on to our customers are fair and comparable across the market on like for like systems. If alternative systems are priced significantly cheaper elsewhere then you may need to question why. You also need to consider the on-going cost of maintaining these systems. If you are considering a new burglar alarm or CCTV system then we would urge you to consider all aspects and not short term cost alone. 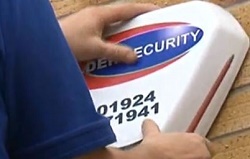 For a quote, please call us on 0800 612 9799 (from a landline) or 0345 833 5543 (from a mobile). previous Smart security, smart tea making?